Although many people are aware of the dangers of high cholesterol in the body, majority are yet to take the necessary measures to curb it. In fact, it appears that cases of people suffering from high cholesterol are on the rise. According to statistics, 33% or 71 million adults in America have too much bad or low-density lipoprotein (LDL). This puts them at risk of diseases such as heart diseases, liver conditions, high blood pressure and much more. Bad nutrition that contains high levels of LDL, excessive consumption of alcoholic drinks, too much smoking, and lack of exercises encourage high cholesterol levels. Cholesterol is a naturally occurring substance that is found in the body more specifically in the blood. It appears like fatty, oily, or waxy lipid and is used in producing hormones, building cell membranes, supporting nerve functions and other bodily functions. The compound is derived from consuming foods that are rich in fats, oils, and carbohydrates. However, having too much of these essential nutrient more so the “bad” or LDL has negative effects. The recommended level is 200 and exceeding this may lead to heart-related diseases. To combat bad cholesterol, several ways have been invented. One method that is receiving lots of attention is the use of oleuropein found in olive leaf. Oleuropein is a substance that is believed to help combat the risk of cholesterol by reducing the levels inside the body. This substance is derived from the leaves of the olive plant and comes in different forms. The olive plant is a small shrub that is mainly found in the Mediterranean region. The extract from its leaves as well as its oil has been used for many centuries for nutritional as well as medicinal purposes. Besides lowering the cholesterol levels, oleuropein also reduces the levels of glucose in the body. This was concluded after a study showed that the substance kills several microorganisms that include bacteria, yeast and fungi. Oleuropein, the most important element in olive oil and its extract contains a high concentration of fatty acids. It is known to be an antioxidant, antibiotic, anti-atherogenic, antiviral, anticancer, antimicrobial, and also anti-inflammatory agent. Scientific research suggests that oleuropein contains calcium elenolate which eradicates the virus that interferes with the production of a certain amino acid. This action also stops the budding, shedding and assembly of the virus. Further studies indicate the compound penetrates into the membrane of affected host cells and stops further replication of the virus. By dissolving the microbes outer lining, oleuropein deactivates bacteria and also protects the cardiovascular system against acute adriamycin cardiotoxicity. It also neutralizes protease enzyme, stimulates hypolipidemic and anti-ischemic activities. 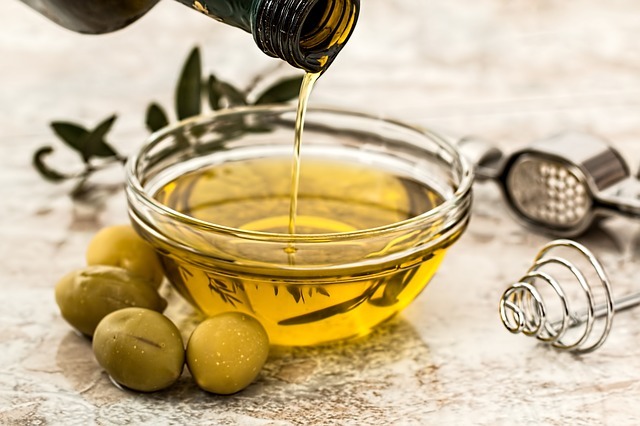 Although studies are still ongoing, oleuropein found in olive leaf extract is showing encouraging results when it comes to treating cholesterol. However, users are encouraged to use products that have been tested and approved by relevant authorities. It is also important to follow the recommended dosage. This will ensure that high or bad cholesterol which is becoming a global catastrophe is effectively dealt with. Are Walnuts A Healthy Nut?